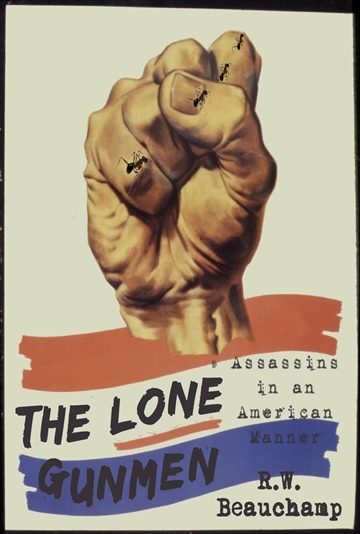 The Lone Gunmen is a first person narrative of four assassins in American history. The novella seeks to explore the mentality of a singular act defining an individual in the public consciousness. The words of the killers are used whenever possible and a predictive narrative is given to the documented events depicted. As the story changes, the voice (complete with spelling and grammatical errors) shifts to the reflect the characters in question. The criteria for inclusion is as follows: American, political victim (i.e. president or presidential candidate), infliction of mortal wound and acting alone (sorry conspiracy theorists, respect the research). R.W. Beauchamp resides on planet Earth with approximately 7 billion others. He graduated from a public university deserving no recognition and his growth as a writer is due to life experience, literary luminaries and an intense love of study. (Respect the research.) R.W. is not above selling out or 'going Hollywood' if there are enough zeros attached to the offer.